Cardinal Collins explained that Political action alone is not the answer because changes need to be made in the human heart and only prayer can do that. At least 10 Catholic bishops were present on the Hill, including Ottawa Archbishop Terrence Prendergast, Montreal Archbishop Christian Lépine and Kingston Archbishop Brendan O’Brien. 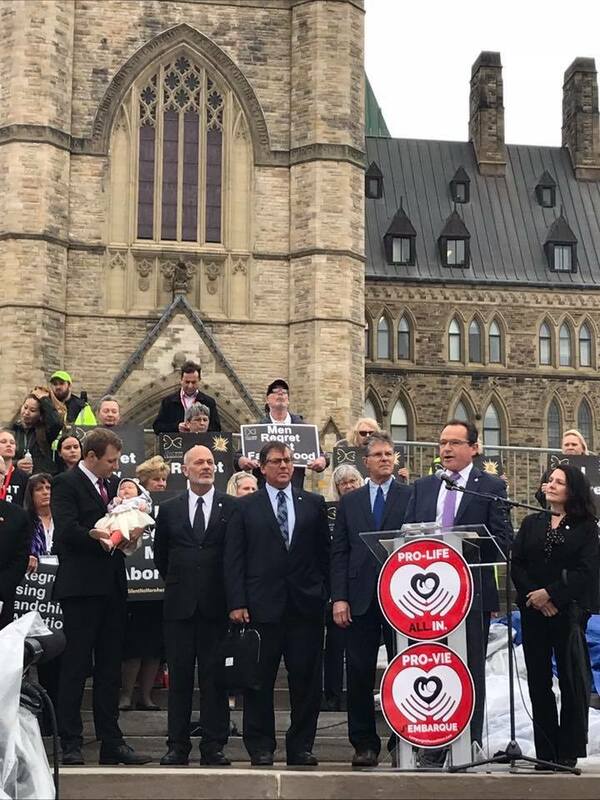 Conservative MP Harold Albrecht (pic left) explained to the crowd that Canada destroys the lives of 100,000 unborn children a year. “Human rights must be extended to these smallest members of our human family,” he said. 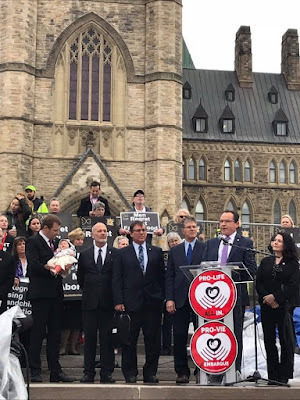 “It’s time for Canada to come into line with every democracy in the world and extend legal protection for pre-born children,” Albrecht said. 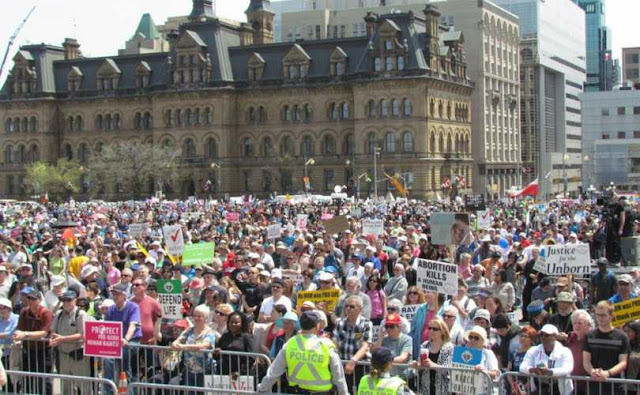 Former Ontario Progressive Conservative leadership candidate Tanya Granic Allen, who was disqualified by the party leader Doug Ford, also addressed the crowd. “You stand for human rights for the unborn and for free speech, just like I do,” she said. “Remember you are the shining hope, the candle in the darkness when you get back home,” organizer Jim Hughes said. Hughes estimated between 10,000 to 15,000 participated in this year’s March.